Awareness of the health impacts of blue light is growing, but as a quick Google search shows there is still a lot of confusion. 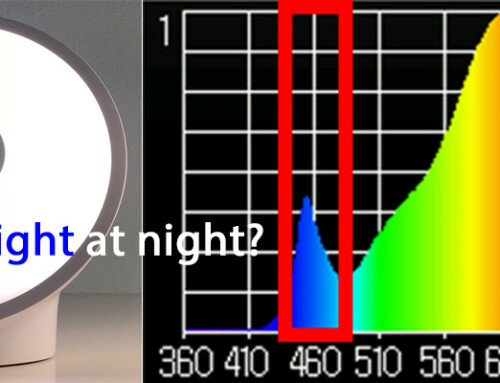 To cut to the chase = exposure to blue light during the day is GOOD while exposure to blue light at night is BAD. We require BOTH exposure to bright blue-rich light during the day, AND the absence of blue-rich light at night to look, feel and sleep our best. Exposure to bright blue-rich light during the day is natural (daylight is blue-rich and boosts our energy and mood) while exposure to blue light at night is unnatural (most artificial light interferes with sleep & recovery). 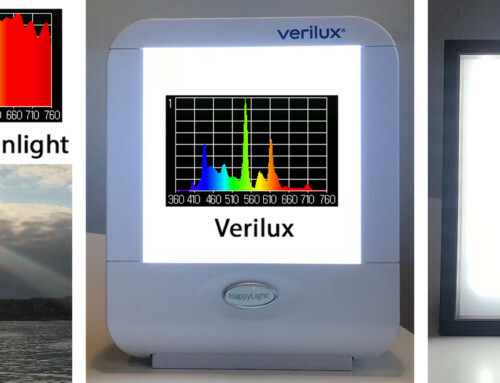 In this blog post we explain both the bright side and the dark side of blue light, how the good and bad correlates to natural light, and how our bodies/brains use blue light to regulate our energy, mood, metabolism, sleep and overall wellness. Almost all living organisms are sensitive to blue light, and rely on the presence of blue light during the day, and the absence of blue light at night to establish their daily and seasonal rhythms. 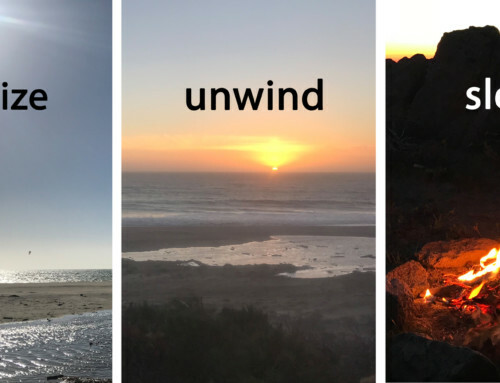 For humans, light helps regulate our daily sleep/wake, activity/recovery and hormone cycles – these cycles are called circadian rhythms and govern everything from our energy, mood, metabolism, and sleep to our overall health. 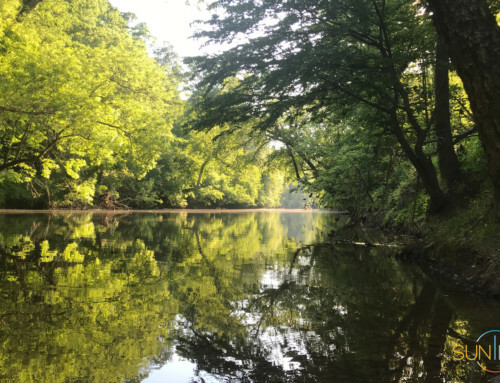 Unfortunately most artificial lights don’t provide a well-defined light-dark cycle = not enough light during the day, and too much blue rich light during the night – for more on the differences between natural land artificial light see our prior post. The best thing we can do to support our circadian rhythms is to get outside in the morning and minimize our exposure to artificial light at night. During the day we rely on exposure to bright blue-rich light to signal us to be ‘awake and alert’. From a biological perspective, exposure to blue-rich light suppresses Melatonin (our night-time hormone), stimulates our metabolism and Cortisol production, and increases our body temperature. Studies show that exposure to bright blue-rich light during the day improves energy and alertness, boosts mood (bright light therapy is commonly prescribed for depression), and improves office worker productivity and student performance. Professional sports teams are now starting to use blue-rich light before games to improve player performance. Exposure to bright blue-rich light during the day is important for our health and wellness. Conversely, at night we rely on the absence of blue light to signal us to ‘relax and sleep’. From a biological perspective, the absence of blue-rich light stimulates the production of Melatonin (our night-time hormone), slows our metabolism, and triggers a host of restorative processes (cellular repair etc.). At night our bodies and brains require ‘biological darkness’ (the absence of blue-rich light) to sustain our health and wellness. Unfortunately we now spend 90% of our time indoors, without sufficient light during the day and with too much blue light exposure at night. Studies show that without sufficient bright blue-rich light during the day we don’t feel or perform at our best, and we won’t sleep well at night. Studies show that exposure to blue light at night interferes with our sleep, negatively impacts mood, and correlates to increased risk of certain cancers (breast, prostrate, colon) and diabetes. 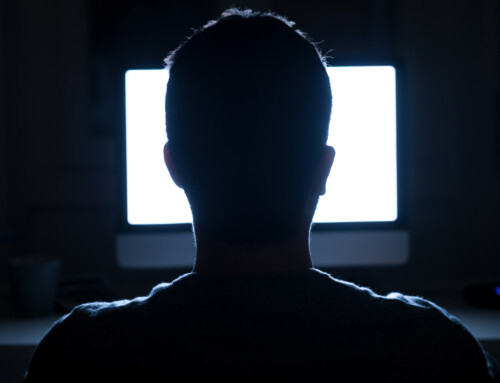 Much of the attention on blue-light is a result of our increased use of screens at night which emit a lot of blue light and have been shown to disrupt sleep, increase appetite/weight and cause other problems for teenagers and adults alike. F.lux pioneered software which reduces the amount of blue light emitted by your Android and Windows screens at night, and in 2017 Apple released ‘Nightshift’ which does the same thing for iOS devices. While these aren’t perfect fixes, they do significantly reduce blue light exposure at night and they are FREE, so don’t hesitate (follow the links for more info)! Unfortunately the artificial lights in our environment do not change color with the time of day, and often deliver too much blue at night. In particular studies show that exposure to light from LED bulbs and fluorescents disrupts our circadian rhythms. To be clear – exposure to screens, as well as LED and fluorescent lights is OK during the day but is NOT good for you at night! It is no accident that we are sensitive to blue light, like most other living organisms, our bodies and brains rely on the daily cycle of natural light to regulate our hormones and activity levels. Our eyes contain a special photoreceptor (called ipRGCs) which measure the presence and absence of blue light to determine the time of day. These special photoreceptors do not form images (not part of our visual system), instead they are sensitive to blue light (peak sensitivity at 480nm) and enable our body and brain to sense the time of day. These photoreceptors are connected to our SCN (suprachiasmatic nucleus) which contains our internal clock and regulates our daily rhythms and hormone cycles (through the pituitary gland and other systems). The presence or absence of blue light regulates our daily rhythms of activity and recovery – for more on the underlying mechanisms check out our science page. To put it simply, we evolved with natural light, and depend upon these daily cycles to regulate our health and wellness. Scientists trace the underlying mechanism back to the evolution of life in the oceans, where only blue light penetrates deep into the water and even single-cell organisms are sensitive to the daily cycle of light and dark. During the day the sky is filled with blue light (even when it is cloudy), which is detected by these photoreceptors and interpreted by the SCN to signal us to be ‘awake and alert’. At night these photoreceptors detect the absence of blue light which signals our bodies and brains that it is time to ‘recover and sleep’. Firelight and candle light do not contain blue light and so they are not biologically disruptive. By contrast, screens, LED bulbs and fluorescents provide a lot of blue light at night which interferes with our sleep, mood and metabolism. The good news is that a new generation of light sources (click here for more info) are now are able to recreate the daily and seasonal cycles of natural light by varying the ratio of blue to red light with the time of day. These ‘human centric’ light sources promise to bring natural cycles of light indoors, to improve the way we feel, work and sleep. Exposure to natural light is a cornerstone of our health and wellness = to summarize: exposure to blue-rich light during the day is a GOOD, while exposure to blue-light at night is a BAD!